The daily lineup for the 2019 III Points Festival is out! 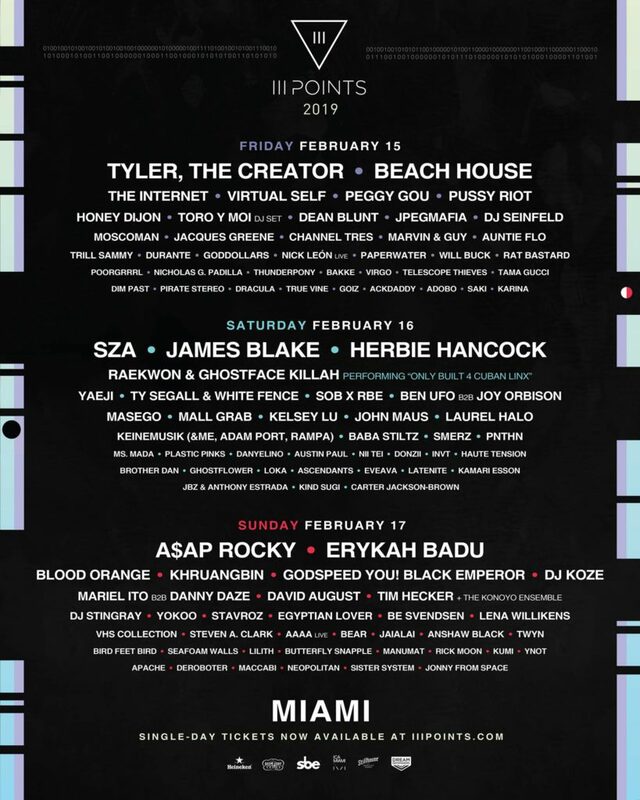 The 2019 III Points will be located at the Mana Wynwood Convention Center, in Miami, FL on February 15 – 17. Headliners include Tyler, the Creator, Erykah Badu, A$AP Rocky, SZA, Beach House, Herbie Hancock, and more! The full lineup is a dream for the off-center hip hop, electronic music, and indie rock lover. Basically, if you’ve follow Pigeons & Planes religiously for 3+ years, this lineup was made for you. Each day has a little of everything. Stay tuned for a list of our Top 10 Acts to see at III Points! 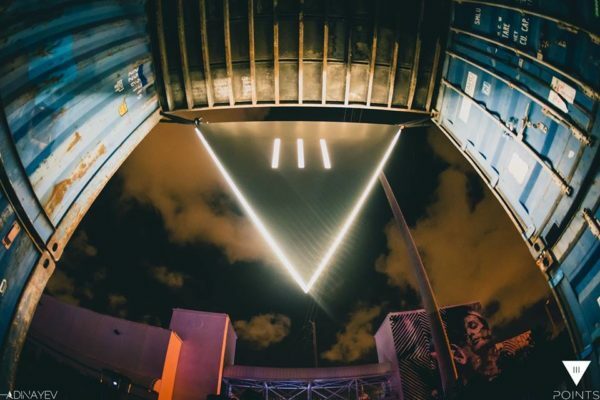 Check out the III Points Soundcloud for exclusive artist mixes, from artists like Laura of Miami, Nicholas G. Padilla, Durante, Loka, & more! See you out there fellow festival fans!